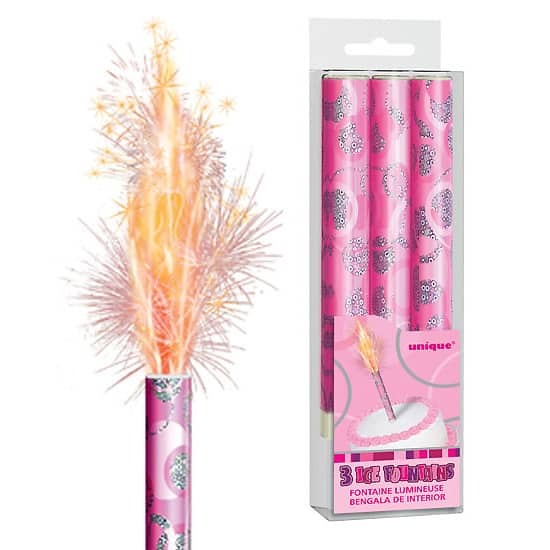 Pink Glitz Theme Sparkling Ice Fountain Candles Pack of 15 Size: 12cm x 1.5cm Instruction on how to use included in pack IMPORTANT: BEFORE USE 1. Remove Spike. 2. Replace on other end of ice fountain.